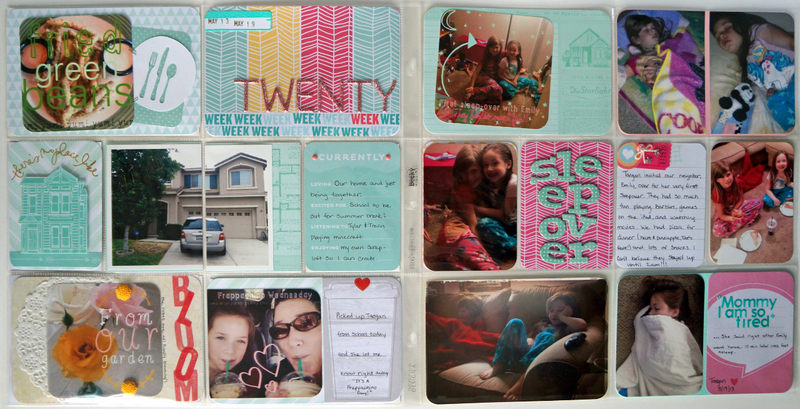 Project Life Tuesday: Week 20…. wow, seriously!?!? Week 20!!!!! I seriously cannot believe how fast this year is going by! I just completed week 20 and went back flipping through the entire album so far. I was just amazed at how it seemed like I just started my album. It really is a treasure having something simple like Project Life that helps you slow down and really treasure the everyday because otherwise we might miss some pretty important moments and memories in all our busy-ness. Maybe you are new to the Project Life concept. If so I recommend you go HERE to Becky Higgins website, Creator of the Project Life system. This was a calm at home week for us. 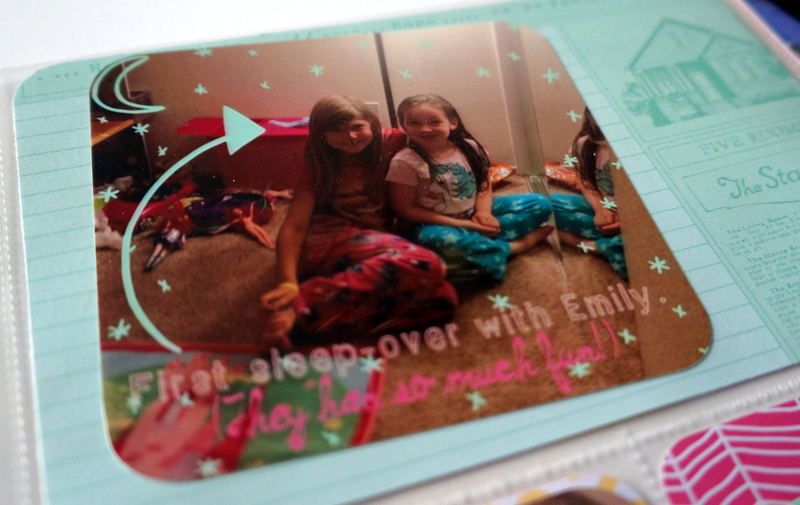 The biggest excitement was that my 6-year-old little girl was allowed to have her first sleepover. Our sweet neighbor came over and I got to experience giggly girls who were up wayyyy too late LOL. This week I largely used a combination of Becky Higgins Blush core kit and Dear Lizzy: Fifth and Frolic. Both matched up perfectly to one another and went along with the overall theme of the week. The left side focuses mostly on our week. A few random things including a photo of our home that I have been trying to find a spot for in the album. Beings that I didn’t take a lot of photos this particular week it fit perfectly. I fell in love with the Dear Lizzy line and was so pleased that it seemed to be made to match with the Blush core kit. The little house was fussy-cut out of a 12×12 sheet of the Dear Lizzy paper and the arrows were apart of the tear strip. The background “card” behind the house was another sheet of paper from the same collection. I stamped a sentiment from the Technique Tuesday : AE Studio “Memories of Home” set. It was straight but I curved it on my stamping block to fit on the card insert. 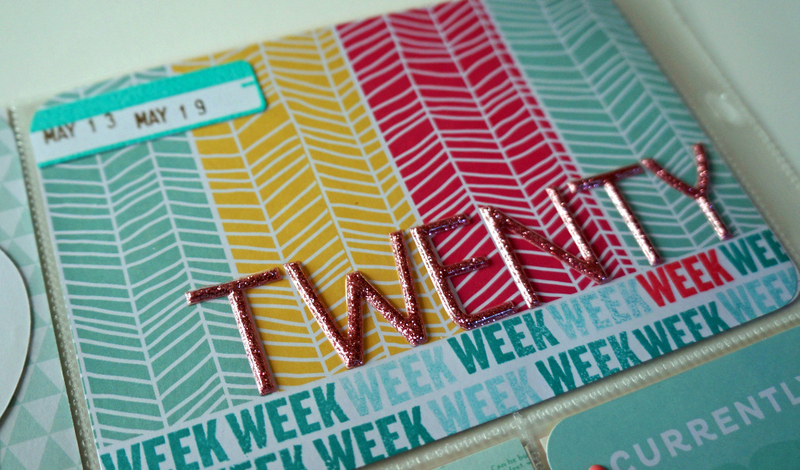 For the title card I used a card from the Blush kit and stamped “week” several times along the bottom in two different ink colors. The lighter seafoam color was just a second stamping of the darker ink without re-inking. The beautiful glitter thickers are also from Dear Lizzy but from the Neapolitan line, Can you tell how much I *LOVE* her designs and colors? 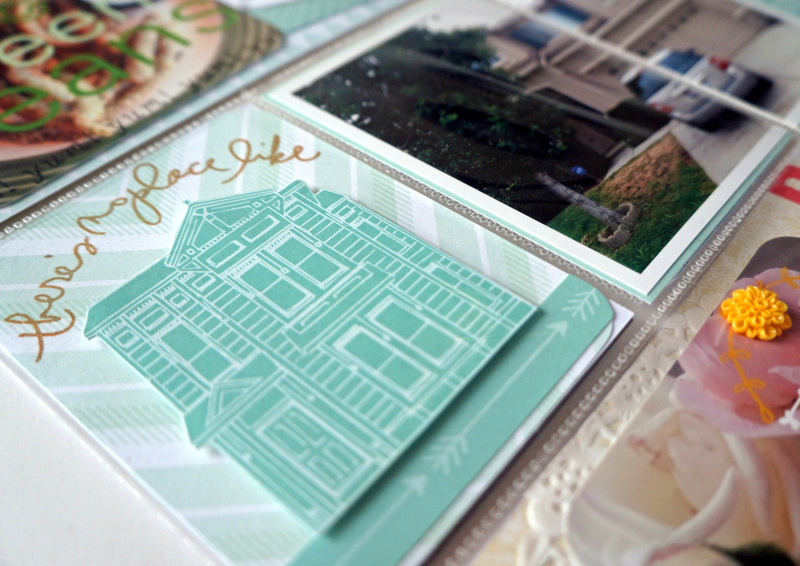 The little file tab was stamped and heat embossed with Aqua ZING embossing powder. A few of the photos this week were edited using the “A Beautiful Mess” app. If you haven’t checked it out its amazing! I definitely recommend purchasing the app and the add-on designs. So much fun! 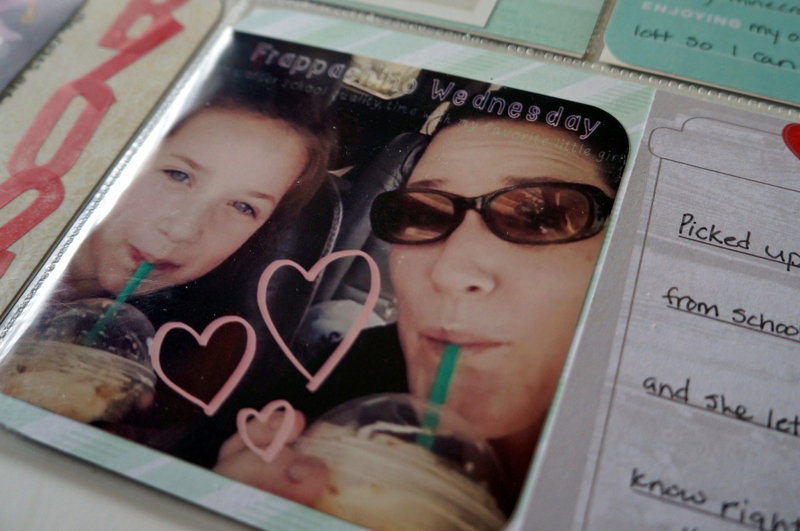 The coffee cup card is from the Studio Calico Project Life monthly kit. 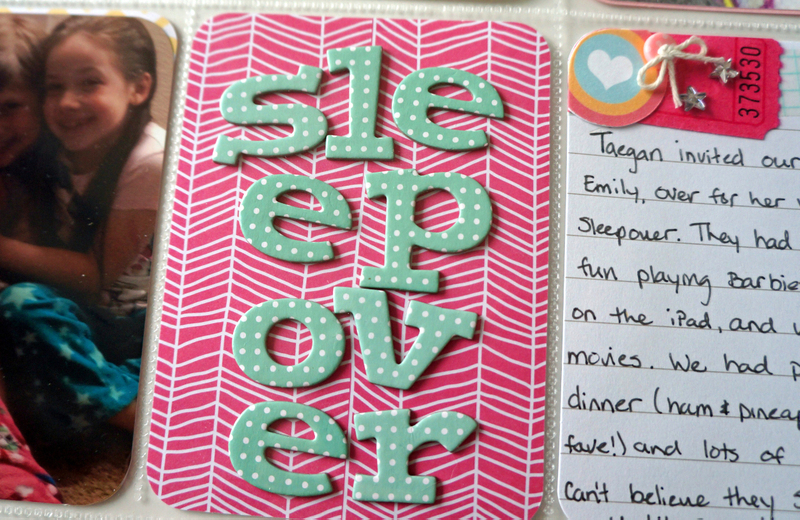 The right side was all about the sleepover. Aren’t those seafoam polkadot thickers adorable? Perfect color and perfect font. I had been hoarding these cuties for a while, So happy I had the perfect opportunity to use them. And finally a fun speech bubble to highlight the final words to wrap up my daughters sleepover experience. She was out like a light until lunchtime! 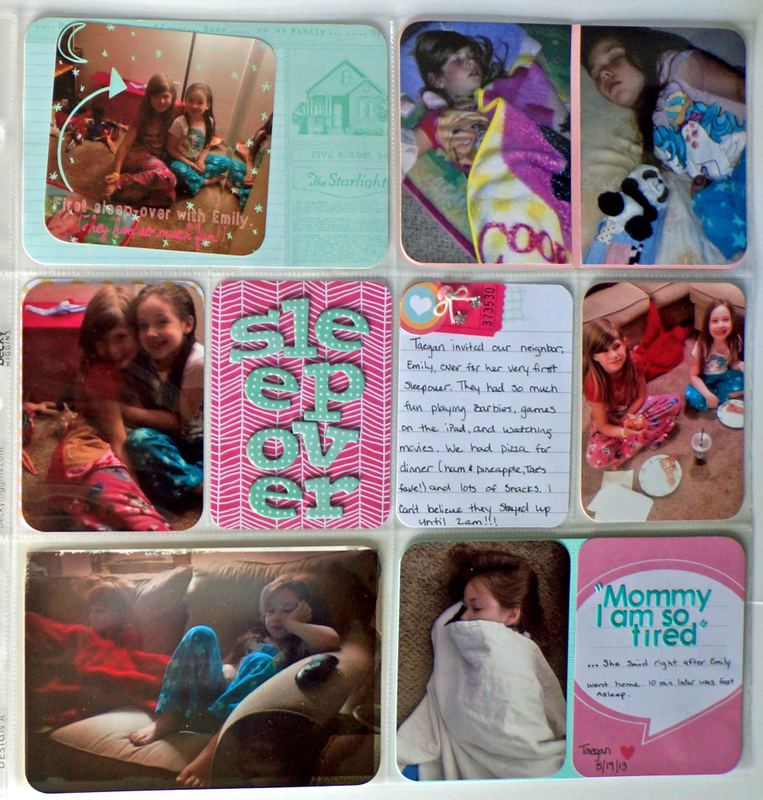 Hopefully you all have a special place in your album to document your home along with all that happens in it. I am grateful for my home where we create meaningful everyday memories, where we come together as a family. I hope you all have a wonderful week! Don’t forget to snap photos of those little moments along the way! 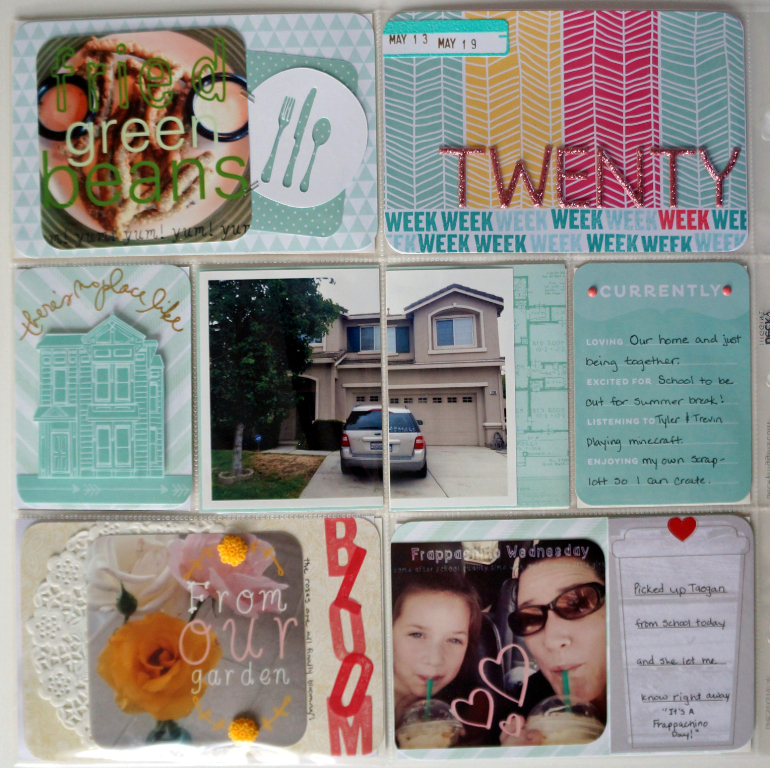 Next Traditional Thursday: Layouts featuring Pebbles, Crate Paper, and American Crafts. i dont do PL but these some cool pages! Thanks for the information on Project Life, I have been interested since seeing your posts and having my first child. I can’t wait to get started. I’ll have to find a retailer near by. My only question is: Can week 1, be any week? For instance, if I decided to start on Monday, can that be my Week 1? Sure thing! I think you can start your project life anytime, It doesn’t have to be at the beginning of the year. What you might consider doing if you are starting now is do month title cards instead of week title cards until you start your 2014 album. 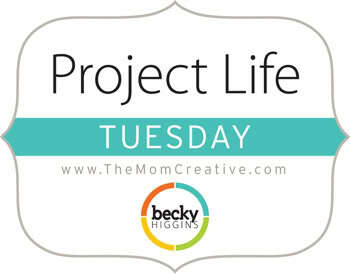 I hope you enjoy the project life process as much as I do! 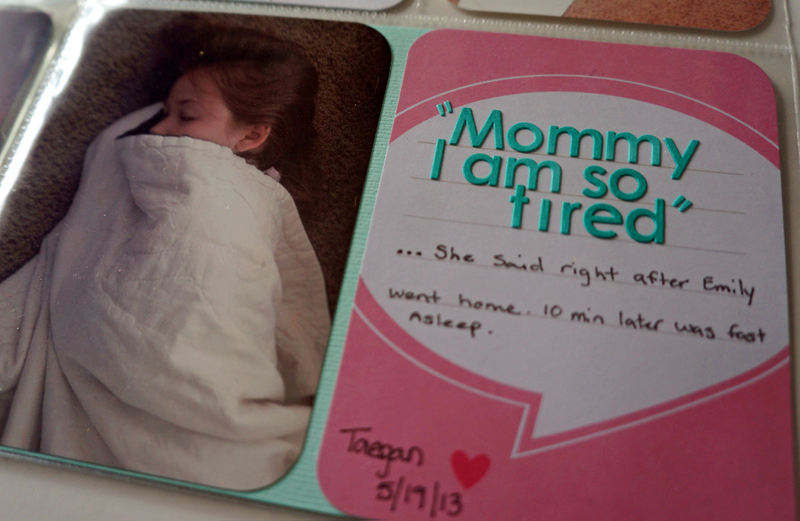 A really very lovely layout Taniesa. The colours and all of your little touches really work well and are perfect for your little girls first sleep over.